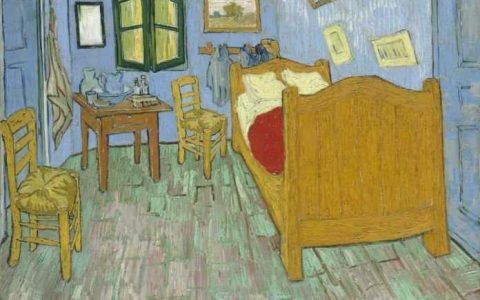 An exhibition arrives to Colombia which invites to live the experiences of the artist Vincent Van Gogh, seeping through the paintor’s remembrance that saw the world from a different color. The exhibition Van Gogh Alive opens its experiences to audience with a technology that allows the observer to experience through his/her senses. Big screens show the experiences of this famous impressionist. Between brushes, textual quotes, and places in the world, the tour starts with different paintings that provide context to the work of the Dutch Artist,so that later, as immersing in the interior of the facility the big screens with rough movements and classic color schemes, revives that dark but at moments amazing side with blue skies and big landscapes. One by one his pieces are exhibited: Sunflowers (1888), Lilacs, Self-Portrait, or Wheat-field with Crows. Parliaments, letters, journeys, and melodies are chronologically showed, creating a story, reviving Van Gogh in images. The sentence remains static on a black screen, textual quote of Van Gogh. His life keeps visualizing and starts appearing the landscapes that characterize the impressionist art, representations that he captured of those places where the artist lived and, with small brushes filled with colors interpret the las works of the Dutch artist. The sensorial experience includes images on the ground and comfortable seats to observe with detail the history reproduced as a sort of short film through the original technology, of the beauty of the landscapes, and of the ironic life of an artist that died at 37 and whose audiovisual exhibition ends with The Starry Night(1899) projected in each one of the screens. Van Gogh Alive is an exhibition that, besides including the projection of 900 draws and thousand paintings of the artist Vincent Van Gogh, is carried out for the first time in Colombia with the Sensory 4 Technology, an original tool that includes a software with 45 projectors with the latest technology, multi screens of over 7 feet tall that projects with a motion graphics system, together with a evolving digital sound. The exhibition has been in 23 cities around the world as Milan (Italy), Shanghai (China), Tel Aviv (Israel), Santiago de Chile (Chile), and Saint Petersburg (Russia). 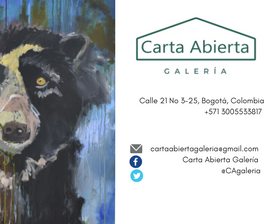 At the beginning of this year, the exhibition opened for the first time in Colombia in the city of Medellin; it will be open until October in Bogota, and by the end of the year, it will open in the city of Cali.